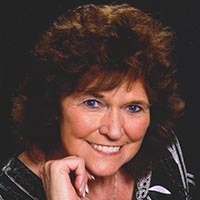 Sandra Colleen Saunders Stosser, 75, passed away Saturday, March 30, 2019 at her home in Dublin surrounded by her family. She was a member of Max Creek Baptist Church. Sandra was retired from Corning and also was a beautician. She was preceded in death by her husband, Paul Stosser; and her parents, Roy and Helen Saunders. Survivors include her sons and daughter-in-law, Tim and Robin Saul, and Todd Saul and special friend, Sherri Light, all of Dublin; stepsons and their wives, Scott and Heather Stosser, and Jeff Stosser and Shannon Bruce, all of Blacksburg; grandsons, Brandon Davis Saul, Jarrad Wyatt Saul, and Tye (Morgan) Saul; step grandchildren, Nicholas, Courtney, Devon and Ayden Stosser; great grandchildren, Everly Elizabeth Saul and Harlow Wyatt Saul; and many other relatives and friends. A special thank you to Intrepid Hospice and all the ladies who have provided care over the last 5 years. A special thanks to Debbie Boyd and her longtime friend Betty Morris. Funeral services will be held at 11 a.m. on Wednesday, April 3, 2019 at the Mullins Funeral Home in Radford with Pastor Mike Coleman officiating. Interment will follow in Roselawn Memorial Gardens in Christiansburg. The family will receive friends from 5 until 7 p.m. Tuesday evening at the funeral home.